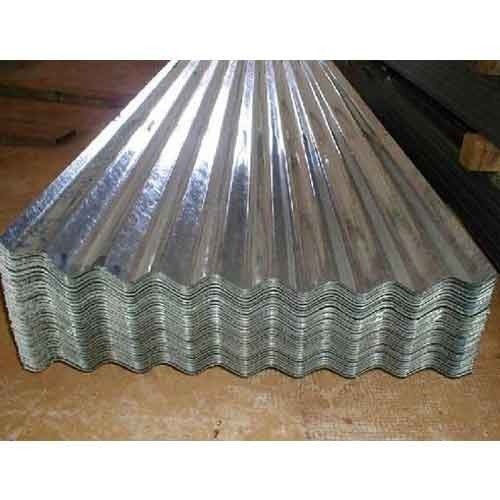 We are the best provider of Metal Roof Sheet in various sizes as per clients’ requirements. These sheets are highly durable and resistant to corrosion. Our products are precisely manufactures using high grade raw metal components. These are used in various industrial construction purposes. These are perfectly designed and provided at the best price ranges. Since its inception in the year 2012, Keshav Roofing Systems has been a prominent name in the industry for the Manufacturer, Supplier, Wholesaler and Trader of a wide array of premium quality Roofing Material and Industrial Pipeline. In our efforts to cater to the diverse and varied needs of our large client base we sustain a huge products inventory. Our range of products include fine quality Polycarbonate Sheet, Cladding Sheet, Air Ventilator System, Pre Engineered Building, Industrial Sheet, FRP Gutter, Industrial Pipeline, Industrial Structure, FRP Roofing Sheet and Polycarbonate Dome. We use some of the best materials available in the industry for the fabrication of our products. These materials are selected and procured from reliable resources in the industry. Some of the most talented professionals employed by us are engaged in the designing and production of these products. These professionals are trained and well versed in modern technology and equipment to ensure the production of fine quality products. All our products are duly scanned for quality and life by these skilled professionals. They conduct stringent quality assurance tests on all products and materials used in the production to process to ensure our customers with products that are reliable and durable.